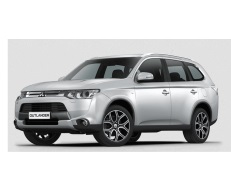 Correct Wheel Sizes, PCD, Offset, Rims and Tire specs for Mitsubishi Outlander series. 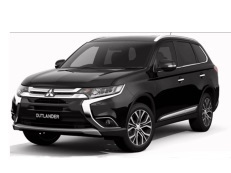 hello, i have a mitsubishi outlander LS 2009. i want to change my rims but worried about the offset of 45 mm...is that a problem or any modifications needed? I am trying to make my 2007 outlander more beefy, I guess I want to put wheel spacers but I also want wider mud tires on it but I can seem to find a good size. I need some suggestions please? Hi,Dave,Yes,for outlander,The cb is also 67.1mm.So,Your question is? Hi, I have a 2016 Outlander with 18x7 +38 offsett stock rims running on 225/55r18 tires. Would a wheel that is 16x8 with a +10 offset and 215/70r16 tires fit with no rubbing issues when the wheels are turned on full lock? Hi,jay,The wheel offset for 16'' is too small.It will make the wheel can't fit for your car. 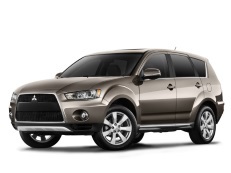 I just bought a Mitsubishi Outlander SE, don't like the low profile tire, don't like the 18" rim. I know the center bore is +38mm, is there a 16" wheel I can get to fit this SUV so I can put real tires on it, without having to modify the wheel? Hi,Wayne,Yes,you can use 16'' rims,But I suggest that you'd show the wheel data,I can help you confirm it.For the tires,it also must be 16'',if you don't want to modify wheels,you'd better show the 16'' tire size too. Hi i am thingking to put 22 inch x9 on my outlander 2016? Any suggestion? Hi,Anthony,No,255/60/18 is not compatible for your car. Is it possible to put a 22 inch tims on my 2014 Outlander GT? If yes what will be my tire size? Or 20 inch and tire size ? Thanks. Hi guys, I have a 2008 outlander and just bought 20 inch rims.what tire size should I put on for best driving experience? I was thinking 245/55. 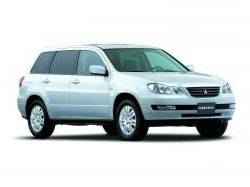 can I fit 255-55-18 tyres to my mitsubushi outlander. Hi,James,No,255/55/18 is not compatible for your car. or i need to change tyres on 225/55 ? HI, I have a 2007 Outlander and I would like to add some AT tires. I have been looking at the Firestone Destination AT in a 235/70/16 . I would like to know if you think this would fit. Hi,Aaron Morgan,For AT tires,What your current tire size? 205/70/16, it should have 215/70/16. I have only had the car for about a year and i think they put a smaller size on the car. They lived in a small town. I am sure it was the closest size they could get. But I would like to get a larger size tire. I have read another thread where someone claims they have installed a 235/70/16 and they have no rubbing. I have reached out with no reply on my comments. I also need to install new front struts and i am thinking about doing a 40mm strut lift when i replace them. I am sure that would give me the clearance I am looking for. 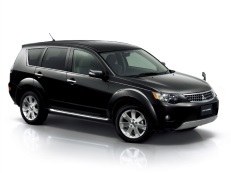 Hi, I have a 2010 Outlander (ES, AWD, 5 seat, 2.4L), currently running 16 inch rims (215/70/16). I was wondering if there's enough clearance around the brakes to drop the rim size to 15 inch rims. I'm wanting to run my winters on 15in rims, mainly due to the cheaper tires and thicker resulting tire. Is it ok to change stock wheels 225/55 R18 to new ones 225/60 R18? Hi, Slava,No,these two tires are not compatible. Hi,Peter watkins,Can you explain your question?